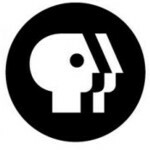 PBS - known as The Public Broadcasting Service offers 1000 television shows such as; Nova, NOW, Masterpiece, Frontline, NewsHour, American Experience, PBS NewsHour. Post your PBS related stories & discussion or news story links here. PBS is located at http://www.pbs.org/ and is made up of:American Masters, American Experience, Antiques Roadshow, FRONTLINE, Masterpiece, Nature, Need to Know, Nightly Business Report, NOVA, Tavis Smiley, PBS NewsHour, Washington Week and more. This website and discussion group is only for PBS related news and information. It is not formally affiliated with PBS... As this group is not directly connected to PBS, the views expressed by people posting represent those of the poster(s) only. The Hosts of this group are not representatives of PBS. Thus, moderation of posts or action taken by the hosts is to maintain the Care2 Connect Code of Conduct, and not necessarily related to PBS. A large percentage of the funding for PBS comes from donations made to PBS by the public, through individual contributions. "Viewers were the top contributor to PBS programming." PBS is a different model, compared to the for profit, corporate owned media outlets, such as Fox News, ABC and CBS for example. These corporate owned media outlets largely cater to the interests of corporate sponsors, owners and advertisers, who provide 100% of the income for these networks. If you post a share about PBS related material, add the tag tag *group:pbs* to it and your share will show up in this group automatically, as long as you are a member.